Do you love to fly? 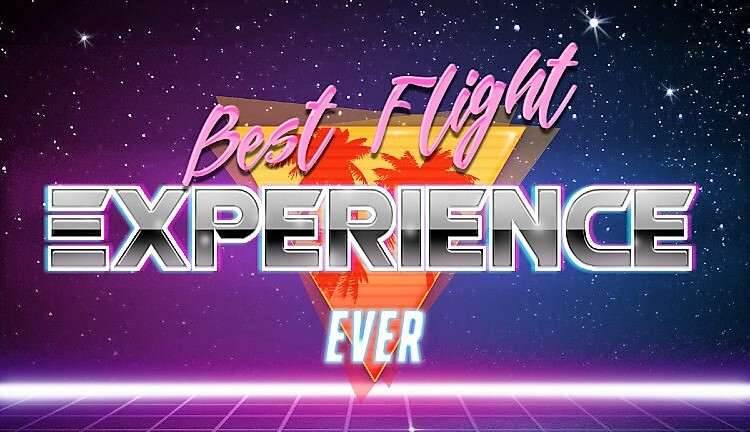 Would you like to learn how to have the best flight experience, everytime? We love traveling to different destinations. Honestly over the last 18 years we’ve probably taken some 120+ flights between us. But it can be a total nightmare if you aren’t prepared for it! With that said, we don’t mind flying. In fact, we’ve learned to cope with transit in some unfriendly airports. We always plan our trips and have all kinds of fun apps to keep us occupied in airports, and the economy class pains! Heads-up for UK & Europe Travel and Immigrants, we have a #BREXIT update if you would like to check out our article here! In this post we are gonna break it down for ya how to maximize your trip and have the best flight experience both in-flight and in transit! So you can get comfy and avoid some gaffes on your vacays! 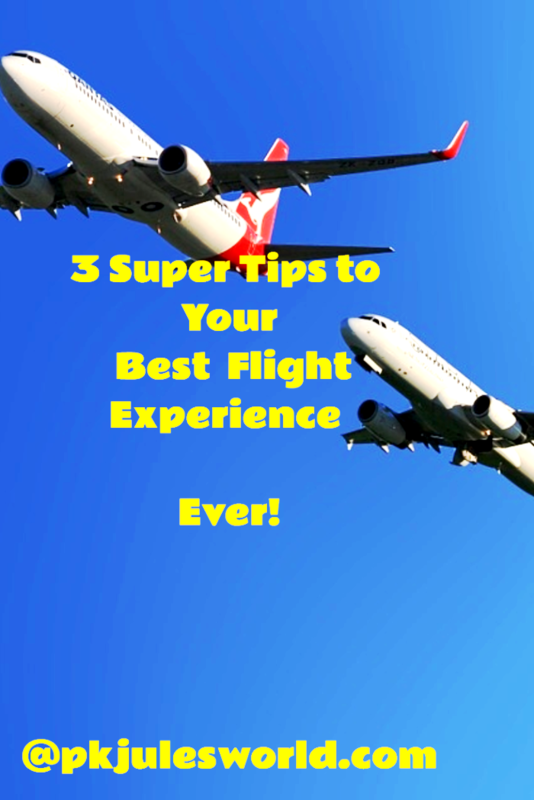 You are guaranteed to learn some “Undercover flying tips” or 3! You want to know what others have experienced before and possibly what to expect. 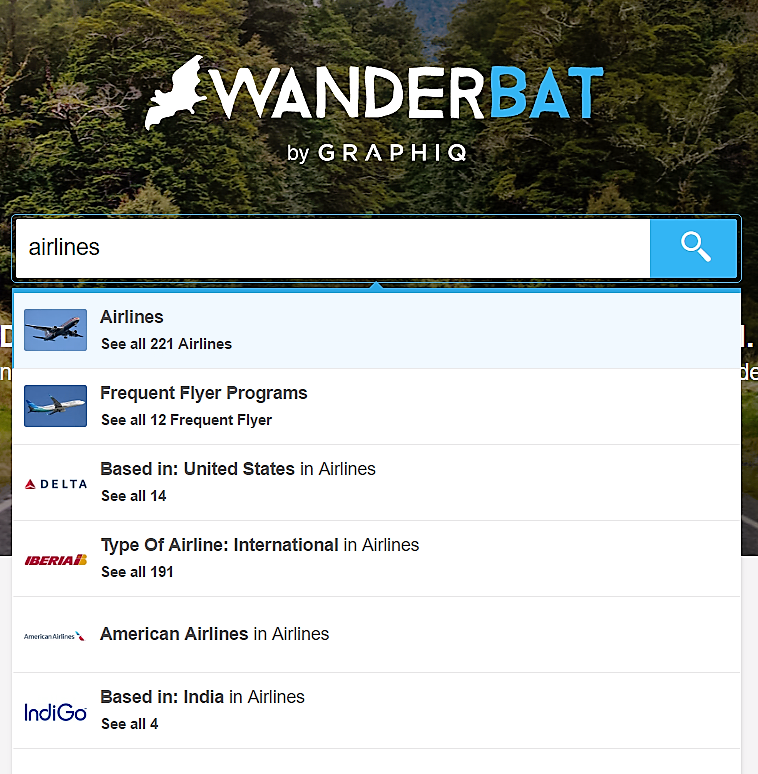 So why not head on over to Wanderbat and compare multiple airlines services, charges, and customer satisfaction. The world’s Air Travel review and ratings website…For Customer reviews of airlines, seats, lounges and airports worldwide. Look for the Verified Review approvals highlighting users who have authenticated their reviews, as we strive to deliver more trustworthy customer opinions. In UK some bank accounts offer this as a benefit for some packages! So always check with your bank what benefits you have as a customer on your Savings or Current account! A travel hack most don’t know! We can’t tell you how much of a blessing this can be between flights with a sleep debt! With young children, it’s a no brainer. If you are heading straight back to work the day after you arrive home, then it’s a must to check out the Airport lounge. San Francisco Airport did it for us…Aaahh bliss. Following an early morning flight from Hawaii we were famished, tired, sleepy, grumpy…We were so thankful to have access to the lounge facilities, booked for us courtesy of our personal concierge service! Part of the benefits of the Dreamtrips travel club! Tea, Coffee, Soft and even Hard drinks. Food, cold buffet and hot meals. This is an investment in YOU, if you travel often for work, your company should pay this cost! There are cheaper subscriptions, find what suits your budget and never ever be stuck in an airport lounge again. Worse still if you got some vacation money left over, and you spend it on junk while sleeping on a hard bench. Paul was so thankful for the Virgin Lounge in London recently. With a 4am Wake up and a 10pm return journey he was thankful for the buffet breakfast and dinner! It’s definitely worth a visit when you are next in London! By the way you can rate the lounges you’ve visit esp. if you use the mobile app to manage your subscription! Please don’t be deceived that Airport Lounges are only for First Class travellers, Celebrities, the Nouve rich or Frequent Business Flyers! 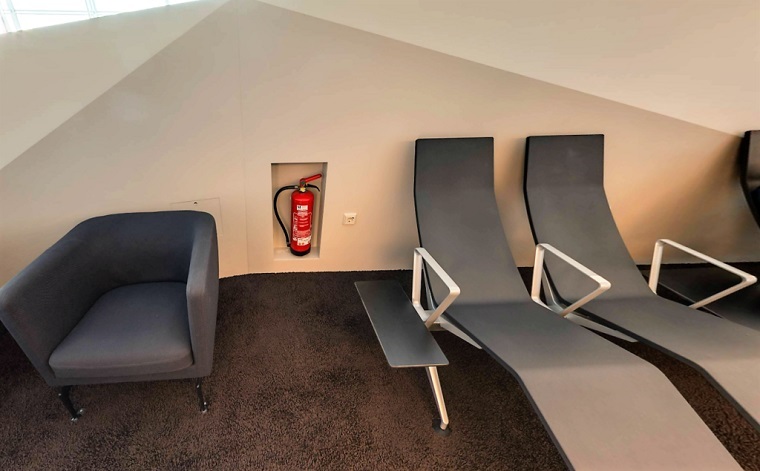 We know for a fact that for a FLAT FEE of between £20-£40, you can use some Airport lounges. What’s your comfort worth? How many Tees can you wear? How much chocolate do you want your kids to eat? Dentist gets richer though huh! 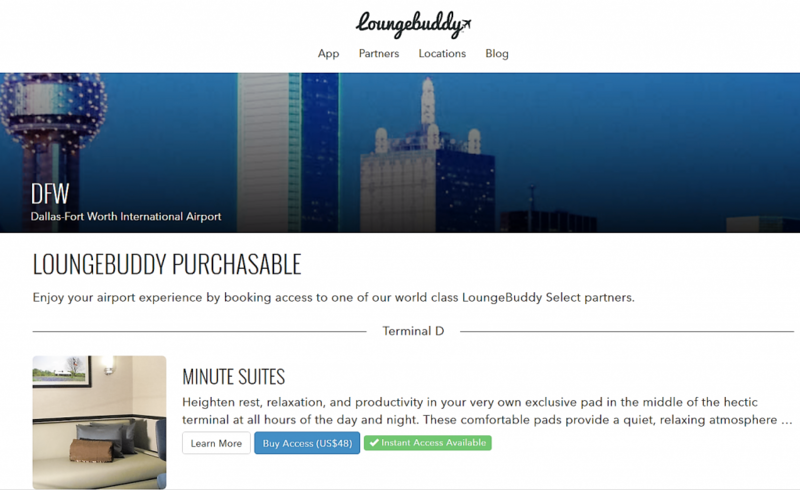 So instead of buying another Fort Worth T-shirt, why not plump for some comfort via Loungebuddy, have a shower, eat some healthy food and have that kip you need! We so recommend this. See Cost of the Dallas Fort Worth Lounge is only $48…Who goes? You decide! 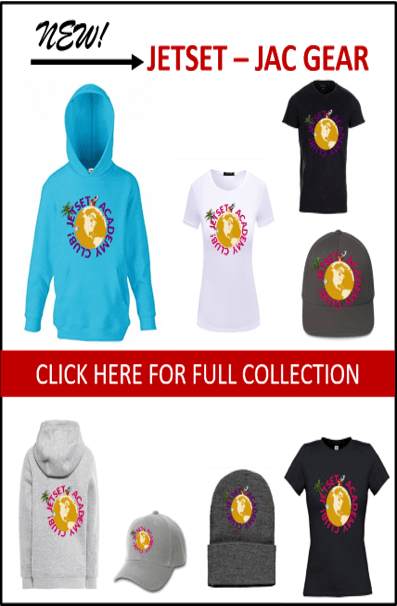 But I am a Frugal Traveller on a Skinny budget, we hear you say…. We hear you. All the above is good if you do have some spare change or budget and plan to have a good flight experience before your trip. Even then you might have saved every penny to go on a family vacation, so you have little left over to pay for an airport lounge. ill find tips on the Best and Worst airports to sleep in, Airport Hotels, and reviews from other budget travellers. 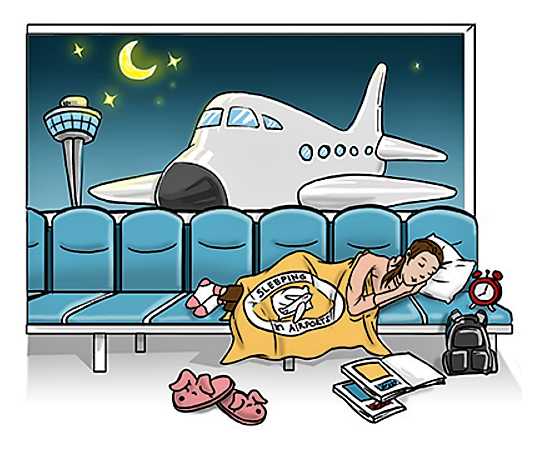 This site also gives you some smart tips on “how to sleep in airports.” Do check it out anyway! Or you can pay for a NapCab and have even more privacy! Munich Airport has a Free Access Visitor’s Terrace via a Glass Sky walk, for amazing views. The Germans sure know how to treat their customers! On the other end of the scale, Luton airport in UK, has been the worst for us in Europe thus far! These days almost all airlines play Russian roulette with families and people who book a flight together on the same itinerary…! They deliberately place you on separate seats. Possibly with a few seats in between. Yes, including separating parents from their toddlers. Shameful practice, yet it’s not illegal! God forbid someone has to sit at the back end on the bulkhead last seats. But as a Smart traveller, don’t let that be you! Unless the lot are free and you stretch out for a much needed kip! 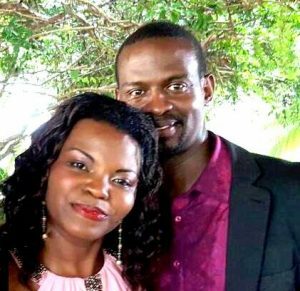 We once agreed to swap with a woman with an infant, without knowing which seats she was wanting to swap…boy sometimes Kindness is a killer! Pungent Toilet smells – God forbid someone ate dodgy food…meeerrgh. Very tight legroom. Are you 6ft? Even Julie at 5’2 was in agony! Toilet flushing noise, and the Cabin crew doing things in the gulley. What! You will be served your meal last, cold and barely any choice. So in order to have a better flight experience, chose your own seat/s. Most airlines either allow you to do so at time of booking, 24-30 hrs before flight, or you pay a bit extra to choose in advance! “SUPERTIP for Asian Travel: If possible, chose a Japanese airline! They have some of the best inflight service, they invest a lot in passenger comfort including seat space! They took into consideration: cushion angles, arm rest lengths, cushion leg room we are talking ECONOMY CLASS! This is from a frequent business traveller! 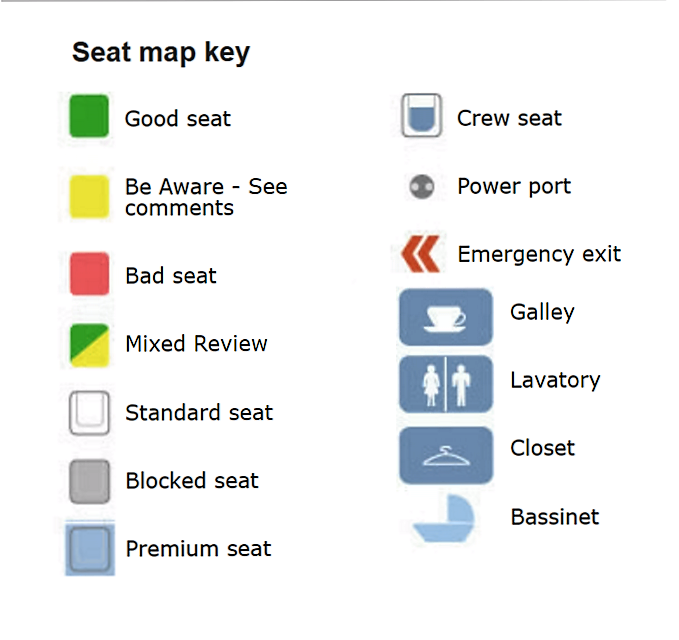 So guess how to tell the seats on your flight. Good old Seatguru. To avoid having to play seat lottery, enter your flight details, or click – “I don’t know my flight details.” You will be shown various Aircraft details. Chose yours and click on your preferred seat to learn more about it! 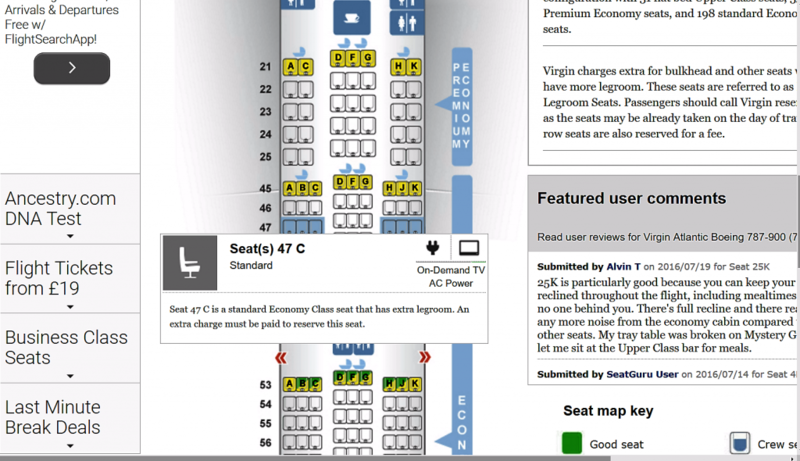 You’ll learn which are the best and worst seats on that particular airplane type. Choose your seat accordingly and sit pretty. There is more legroom, room for a baby bassinet and you get to have room to put your bags with your book, tablet meds etc. once you take off! These seats are very popular and snapped up fast! If you aren’t a frequent flier, are you noticing some things that could affect your comfort levels and totally skew your hope of having the best flying experience? 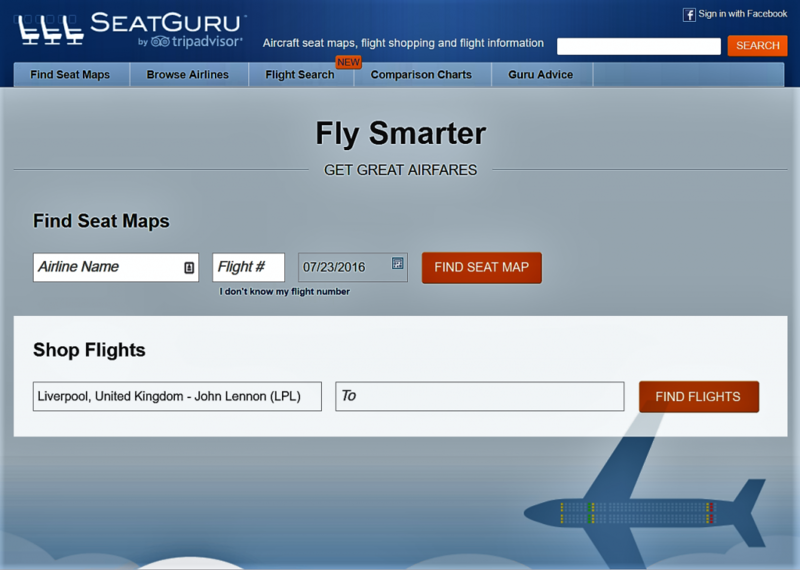 So head on to SeatGuru & find the best seat for the best flight experience. Life is too short for a @pkjulesworld reader to be squashed. See one of ours, a Virgin Atlantic Boeing 787-900 (789) flight. Notice what we just said about extra leg room seats! You will know the exact number of seats in each class on the craft. And whether the airline charges for the extra legroom seats! For some people air travel does matter, it’s the only way they can get to work or essential business events fast. So it’s important to create the best flight experiences you can by planning and preparing for your flight as much as possible! If you don’t know about Flight hacking, you are in for a treat right here! With the increase in airport security for obvious reasons, checks take longer. It’s even more important to plan your comfort and air travel experiences so you can have the best time ever! WANT MORE? 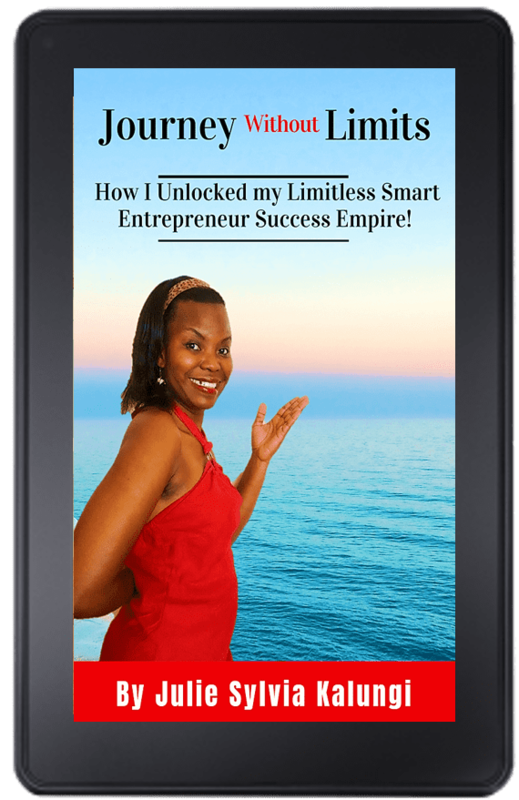 What Would it mean for you to be able to Have FREE Vacations to Anywhere you Chose. To Get REFUNDS on Flights? To be able to receive a commission for every time you successfully share! If you want more information on this and more benefits, We wrote an amazing Guide and Review that teaches you how You too can be part of a cool thing. 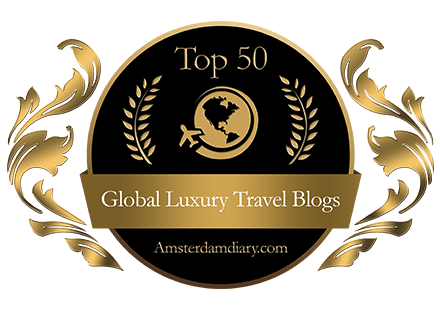 Master Wholesale travel and the 5 star hotel Lifestyle. 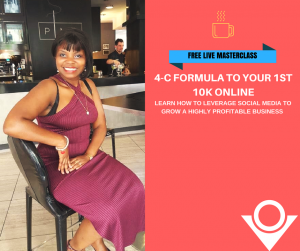 Use the system to gain thousands of travel Points eating out, shopping, all the things you do regularly before even stepping foot on an airplane or in a hotel. Its how the savvy smart travellers enjoy VIP Travel at a steal! This is for people who are serious about traveling in Style at Value Rates. My husband makes our arrangements. He does #1 and #3. Your Husband is a very smart man Janice. and Thanks for stopping by from the Pit Stop! It is interesting the seats and the way people don’t care about anyone else but themselves. Then there is the lounges and they sound great if you can do it. The best thing is to Save the post, Book mak it and definitely apply these steps when Yo do get a chance to travel on a long haul with your family! This post takes planning a flight to the next level for sure! It’s really great that you have compiled so much info that can help people get a better experience flying. If you are going to be paying a big sum of money to fly, why not get the most out of the experience right? Thanks for all the value here Julie! I am so happy you got value and see the bigger picture too. Go out there and enjoy your Flights coz you do pay a pretty penny for them! Great tips! Traveling can be quite stressful sometimes. We always select our seats. We’ve had a few instances that the flight was already pretty full by the time we purchased our tickets. But, with young kids, we don’t have too many issues with people agreeing to switch seats with us. I am about to fly to Australia next month and this blog post is what i needed. Now i am gonna go through all the factors that you mentioned here. Thanks for sharing. Enjoy your Trip to Aussieland and do apply these tips, get your Lounges booked yo do deserve to get some rest, It is a long way away! [ Smiles ] I am utterly impressed! I see that you are using the aid of a travel app too! I didn’t know any airport lounges would accept an on-the-spot payment. Thanks. Yes they do Ellen, if you do it on your phone, handheld or Airport PC lol 🙂 book online! I am planning to travel next year. This is a great post and very helpful to have a wonderful trip. These are great trips especially with investigating the airline. I like reading reviews whenever we travel and it really helps. These are great tips to improve your flight experience, glad you shared them with us. I will have to take into consideration these tips the next time I Fly! This will be useful for near-OC level people, especially someone like me who wants to have everything organized and has manual selection over almost anything. I can relate to some of the people here, some rules are weird though, or maybe give disappointing or confusing results. Great tips! But here in the Philippines, we only have two choices of airlines. I get anxiety when flying, especially on long trips. Im not fond of flying but I’ll do it if I have to. Sorry to hear that, hope these tips reduce that anxiety for you! The more relaxed I am before the flight, the better my flight experience. I definitely like going for the lounges when I can. Great tips Julie, i will definitely be checking out if my bank account package has airport lounge benefits. 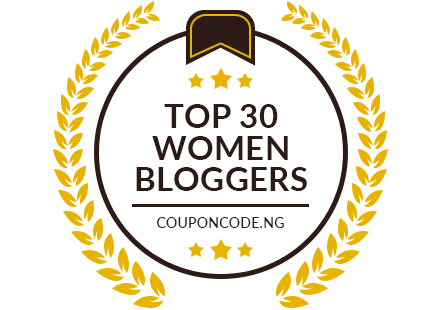 Yes you should Yemisi, You will be surprised what other benefits you may have other than travel related ones! We dont get because we dont ask! Thank you for all of the tips is this wonderful post. I am booking marking this page for sure. Most of the time, I just research on the airline that I’m interested in. There are so many reviews online and there are travel apps that allow customers to post their reviews or experiences as well. These are great tips! I always check for the best prices and the best seats. I also look to see what type of plane it is, since I’m not a big fan of the small planes. Thanks for sharing such great trips! You did the homework for me and it is very appreciated. I am sure I wouldn’t have heard of half of these things otherwise. Great job! I have never had to even think about sleeping in an airport, thank God, but I would hope wherever I am if this ever happens, that they have those lovely chairs! They don’t look half bad for an airport sleep! Yes, yes and yes. These are great tips for any traveler. I’ve been on long and short flights, and still appreciate the advise. Great tips, every flight will be perfect from now on with this guide. 😉 Thank Julie! 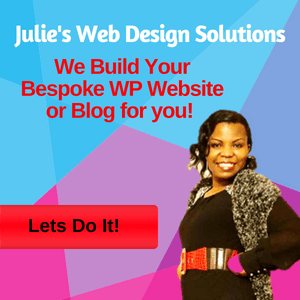 Certainly bookmarking this post Julie! Tons of valuable travel tips and helpful information that I never considered before. Thanks for sharing! Goodness, I’ve never put this much effort into booking a flight LOL I guess I’ve been doing it all wrong! Knock on wood. I have always had great flights. Thanks for all the info.